Blockchain has been described as the technology that can power the next generation of the internet — the decentralized web, or web3. It is important to understand how the internet is currently “centralized” and the problems this creates. “Centralization” refers to one or a small number of entities holding sway over a network. At the moment, a small number of very powerful technology companies exert the most control over the internet. Smaller entities follow the path of the larger technology companies, using similar methods of operation. In this way, the current internet could be described as centralized. A few companies control most of the action on the internet, and they are known as the FAANGs (Facebook, Apple, Amazon, Netflix, and Google, with other companies like Microsoft and Twitter rounding out the oligopoly). Together, they effectively control the internet. This can be seen in two related areas: data privacy and control of information. We share billions of pieces of personal data daily online and the vast majority are stored in giant servers owned by the FAANGs and located in just a few places across the globe. This data is valuable to advertisers and market researchers, as well as less credible actors, who can gain access to it and influence our lives. There are just a few large platforms that drive most internet traffic to online news sources. These platforms have enormous influence over what sources of information we consume on a daily basis. Centralized data storage and control is also vulnerable to direct attacks, such as hacking. A move from centralization to decentralization would be a significant change in how information is stored and shared online. A decentralized internet would not use centralized servers. Instead, it would rely on a network of many computers and widely distributing data. Each computer acts as a “node,” contributing power and memory to a distributed storage network system. The data is not stored in any one privately-owned silos. Thus, there is no central point to hack and no way for an oligarchy of entities to take control of it. This model of a peer-to-peer infrastructure of nodes is used by a blockchain’s distributed ledger and is why blockchain could be the solution to the challenge of how to create a decentralized web. Could Blockchain Power a Decentralized Web? On blockchain networks, data storage is shared across the nodes in the blockchain. The blockchain includes a ledger of transactions and smart contracts that can be executed automatically when certain conditions are met. Though not essential in this use case, a blockchain network also usually has a native coin or token that helps to verify transactions and data onto the chain and afford voting or governance rights to network participants. This technology is appealing because, in theory, it is less corruptible and more resistant to corporate or political regulation. Internet creator Berners-Lee has been working on a solution to the problems with today’s centralized internet. He has created the “Solid” platform, which uses existing web protocols but allows users to control their own data and store it in a single “data pod” that can be used to integrate with various applications or platforms. For example, a user moving from a web search engine to a social media platform would use their single, self-stored Solid data pod to verify transactions within each application. In each case, the user would only reveal the data they need to perform the activity they were pursuing (e.g. posting to social media or making an online purchase). Blockchain-Based Decentralized Web on the Horizon? Blockchain technology faces challenges that could impact its use as a foundational technology for the internet. Currently, different blockchains struggle to communicate with each other and share data. This functionality is known as “interoperability,” which is necessary for the technology to move forward. Currently, no single blockchain is powerful enough or independent enough to be a base for the entire internet. If blockchains solve the problem of interoperability then many difference chains could be interconnected and pose a solution viable for Web3. However, scalability is also an issue. Even the most advanced blockchains, like Ethereum, can only process a limited number of transactions per second. Ethereum can process 10–15 transactions per second. 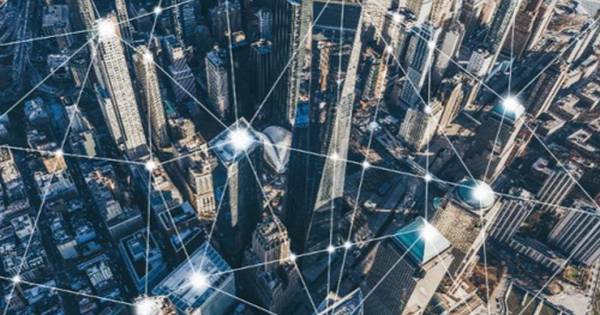 Until this processes capacity is vastly increased it won’t be possible for any blockchain network to gain widespread adoption. Each search engine query or social media post would create a blockchain transaction. Widespread adoption would multiply the number of blockchain-based transactions exponentially. In this sense, blockchain has a ways to go before it could realistically power the web. How Blockchain Could Power the Decentralized Internet was originally published in Hacker Noon on Medium, where people are continuing the conversation by highlighting and responding to this story. Previous PostPrevious Will the cloud move to the blockchain?